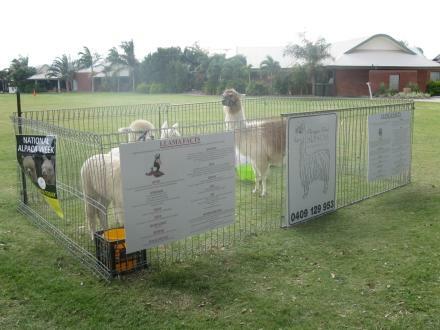 Is your school interested in adding alpacas to its Agricultural Progarm? We are committed to assisting the industry grow through education, outlining the benefits of breeding and assisting you to make an income from this developing industry. Therefore we do not charge for our time in assisting you with your alpaca breeding program. We are happy to put you in touch with the schools that utilise our services, along with our vets and local DPI for a recommendation. Our farm is a registered breeder with the Australian Alpaca Association and is headed up by Kelli Pfeiffer who is the current Education Representative on the Queensland Region Australian Alpaca Association Committe.